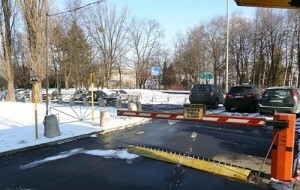 ParkCloud is very pleased to offer a series of new parking spaces in Warsaw, collaborating with Polish company Towing. The deal includes three car parks in the city centre, which are all guarded, insured and offer customers parking 24 hours a day, 7 days a week. Firstly, Zwirki i Wigury car park is situated in the city district of Ochota, and is open air. This facility is located close to a monument which is dedicated to the Fallen Polish Airmen in World War II. Secondly, Al. Jerozolimskie is an open air car park located in downtown Warsaw, directly by the central train station, and offers consumers a place to park very close by the Palace of Culture and Science as well as the Zlote Tarasy Shopping Centre, with over 200 shops, 40 restaurants and a large cinema. The third car park available, Slowackiego, is located in the city district Żoliboż. This car park is ideally situated by the Plac Wilsona metro station, for speedy access to the centre of Warsaw. Established in 1992, Towing offer a range of services including towing vehicles, technical roadside assistance and car parks.